Monarch Air Group provides private air charter in Prince Edward Island, Canada. Our clients benefit from top-notch service, unrelenting dedication to safety, wide selection of aircraft, and years of experience in chartering private jets. To obtain a free quote, please use our online quoting tool provided below, or call toll free 1-877-281-3051. Monarch Air Group provides private jet charter flights in and out Prince Edward Island. Situated in the Gulf of St.Lawrence in eastern Canada, Prince Edward Island is an island and the country’s smallest province. It was discovered in 1534 by Jacques Cartier and settled by the French. 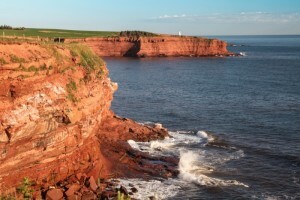 Prince Edward Island has been a province of Canada since 1873. Charlottetown is Prince Edward Island’s capital. It’s a vibrant port city with its international airport, natural wonders of the world-known Prince Edward Island, scenic beaches, clear waters, beautiful scenery and nature trails. With its mild climate Prince Edward Island offers such outdoor activities as kayaking, biking, canoeing, fishing, boating, snorkeling, seal watching, and parasailing. The serene and tranquil life and renowned natural beauty blend with excellent small hotels with championship golf courses, unique shops, fine dining, modern nightlife, and vibrant culture. Prince Edward Island offers its visitors everything, from visiting the Abram Village in La Region Evangeline and discovering the birthplace of Canada at Province House National Historic Site, to taking in the outdoor concerts at the Rollo Bay Fiddle Festival and enjoying the evening ceilidh at Orwell Corner Historic Village. Prince Edward Island is served by Charlottetown Airport (YYG) providing smaller aviation and serving as the major aircraft gateway to the city of Charlottetown and the island of Prince Edward Island. Other nearby airports are Moncton/McEwen Airport (CCG4) and Summerside Airport (YSU).